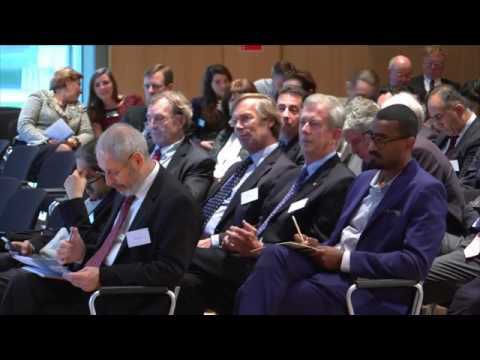 In November 2014 the Lutfia Rabbani Foundation organized a conference on ‘The Arab Future & the role of Europe’ as part of the Dialogue Platform. The conference in the Peace Palace was a gathering of Arabs and Europeans to reflect upon the Euro-Arab relationship. Under the leadership of BBC Chief International Correspondent Lyse Doucet and with a keynote presentation by United Nations diplomat Lakhdar Brahimi, panelists from a broad spectrum of fields addressed the challenges of political transition, economic development, education and social engagement.